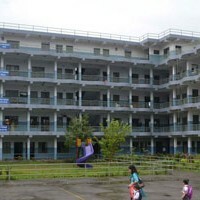 The Tops Higher Secondary School located at Ramghat Pokhara-10 is a coeducational Boarding and Day School offering classes from Pre-Nursery to XII. The school was founded by Ratna Man Gurung and his wife Bhakti Gurung on December 10, 1993 (Mangsir 24, 2050) to cater for academic, social, emotional and extracurricular excellence in a caring environment. The school commenced with 64 students in grades Nursery to Four. The first batch of its students sat (for) the SLC Board Examination in 2001 (2057). Nine girls and sixteen boys passed the examination with flying colours maintaining a 100 percent pass results. A 10+2 course on management was introduced in 2005 (2061) and the science subject in 2012 (2069) respectively. The Tops Higher Secondary School occupies a unique place in the life of the city of Pokhara through its education and extracurricular activities. It offers a purposeful and active learning environment for all students based on its holistic approach to education. The aim of Tops is to bring the best out of the child. The school is guided by the principles of service. It is committed to give its students a good character and a sense of value. It seeks to establish a culture of heart, a culture of true love that links us together as one family. Pre-Nursery school caters to kids aged two and half. The curriculum covers language development, numeracy, knowledge and understanding of the world, physical development and creative development. Pre-Nursery children enjoy drawing, rhymes and fun activities (Birthday celebrations, Father/Mother Day celebrations, City bus tour, puzzles and games). Pre-Primary school caters for classes Nursery to Senior Kindergarten (UKG). The curriculum of Pre-Primary School covers language development, numeracy, science, personal, social, emotional (PSE) development and creative development. The average size of a class is around 30. The National Curriculum of the Primary School is developed by the Curriculum Development Centre (CDC) working under the Ministry of Education and Sports (MOES). The primary curriculum includes Science, Maths, Social Studies (History and Geography), Health and Physical Education, language and Art. However Tops reserves the rights to have its own curriculum on moral education, literature, computer, grammar, painting, music and sports. We emphasize good behavior and interpersonal relationships and most importantly learning self-improvement. We focus on equipping students with skills needed to become respectful, contributing members of society. Our teachers are dedicated to the academic and moral development of all students encouraging each child to reach their full potential. Unlike the primary curriculum, the national curriculum relating to lower secondary and secondary schools seems quite overwhelming because students have to study more subjects by heart and more often than not beyond their capacity and interests. It is therefore necessary for us to guide them through the tender age of puberty and adolescence. The curriculum of Higher Secondary Level is designed by the Higher Secondary Board of Education. Tops offers science and management courses and it is striving for achieving the best results. In addition to subjects prescribed by the HSEB the Tops Higher Secondary School conducts short courses on career guidance, effective study skills, living harmoniously, developing interpersonal relationships, personality development, health and hygiene etc.